Skin discoloration or pigmentation is an unwanted skin condition. Mesotherapy is an exceptionally useful treatment when we talk about skin pigmentation. 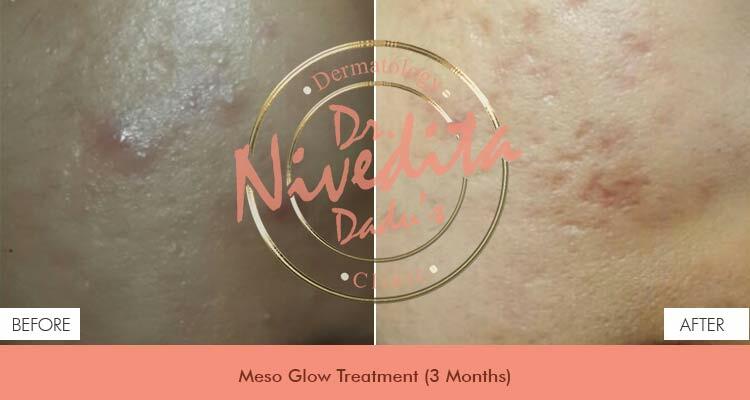 Mesotherapy at Dr. Nivedita Dadu’s Dermatology Clinic, our dermatologists use vitamin C and more such ingredients which actively help in the reduction of skin discoloration. These ingredients are instilled into your facial skin through Electrophoration. It works on the deeper layer of the skin and protects it from free radicals to give your skin a refreshed look.